Last Thursday my physio gave me the all clear to start running again and i was allowed to do 5-6km over the weekend. 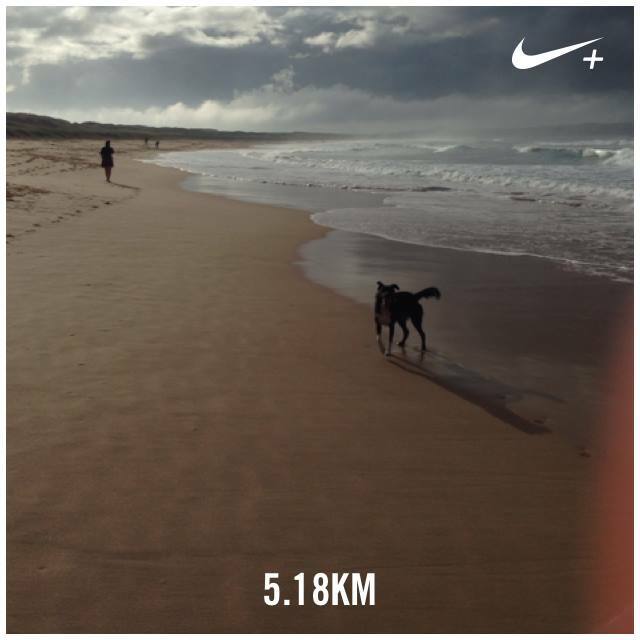 I thought I would make the most of a little sunshine on Saturday and headed down to the beach with the dog for a barefoot run and I’m so glad that I did. The morning started with heavy fog and some sprinkles of rain, but as soon as we hit the sand the clouds parted and the sun came through, couldn’t have times it better if we tried. I stopped at just over 5km as I started to get tight in the affected area and thought it best not to push on until 6km. So thee you have it, back out there already and loving it. I saw the physio again this morning before work and he told me to do another 5km today followed by a 7-10km on Wednesday. So today I decided to hit the wharves at Pyrmont during my lunch break and it went very smoothly as I did not feel any pain or tightness – bonus!! My next test will be the longer run on Wednesday, I have recruited a buddy to come with me too and i’m really looking forward to the catch up. Stay tuned! 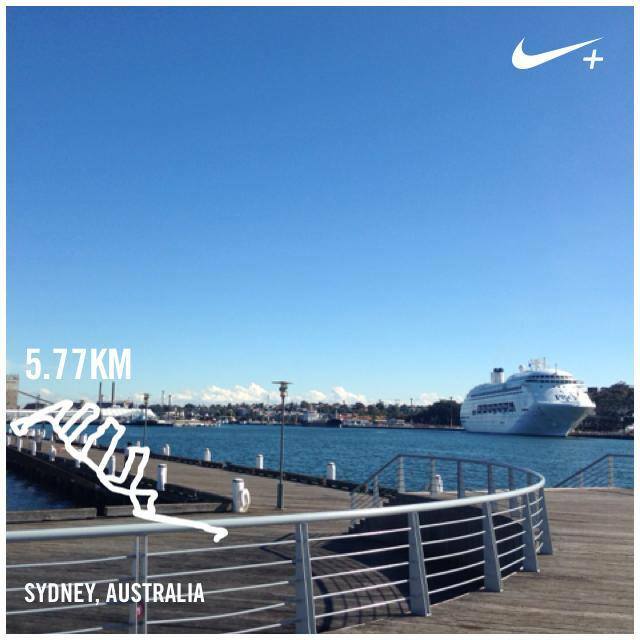 This entry was posted in Training Runs and tagged #running, moomoo, pyrmont, rehab, run, tendinitis, wharves by laurenhailey. Bookmark the permalink.